“Touch the Earth” was written by the jazz singer and pianist Jeri Southern with lyrics by Gail Allen. 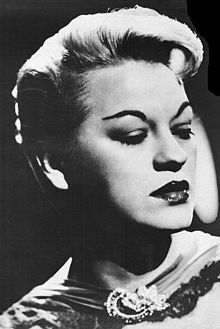 Although she’s considered to not a have strong voice, as a jazz performer she used it to her advantage and became associated with slow, sultry love-gone-wrong songs that she excelled in. She retired from performing in the early 1960s and concentrated on teaching and composing. At the time of her death in 1991, she was working on arrangements for a new Peggy Lee album. She also wrote a textbook called Interpreting Popular Music at the Keyboard. “Touch The Earth” was recorded on June 11, 1966 and released that year on the album A Time For Love. It was arranged by Johnny Mandel.